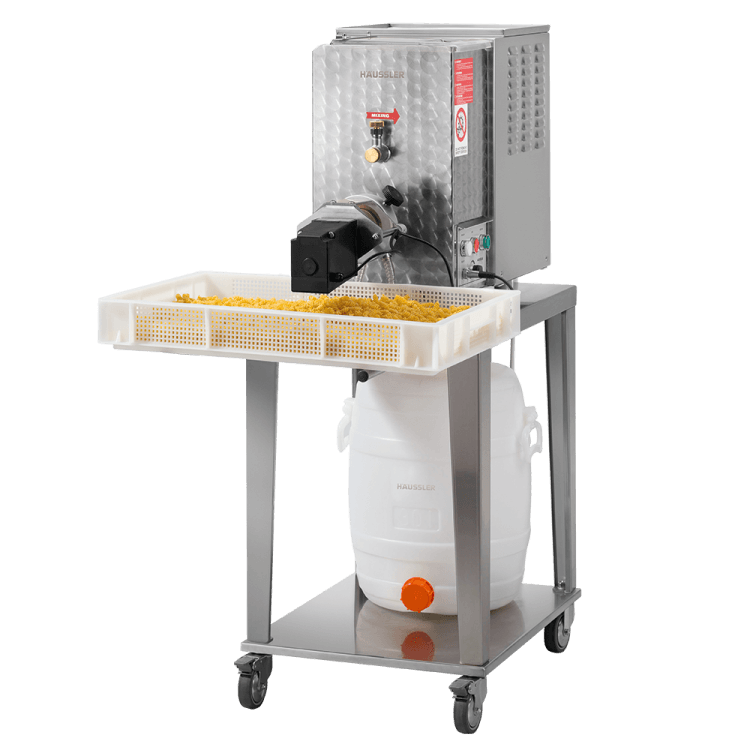 The appliances of the PN 300 series are compact pasta makers that meet all professional requirements! The strong motors achieve a high hourly output. The models are available in different designs, with and without a convenient cutting device. The PN 300 V is the basic model with an enamelled motor cover. The PN 300 VX is also enamelled but comes with a standard base frame. The professional model of the series is the PN 300 VXS. It is ideal for continuous use and is equipped with a practical water-cooling system. As a result, you will succeed in maintaining a uniformly good quality for your pasta even with continuous production! Perfect for catering and farm shops – The appliances are ideal for farm shops or for mobile catering due to their compact construction.